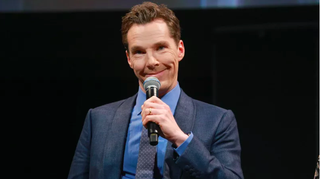 Benedict Cumberbatch and/or Jessica Chastain and/or Jennifer Lawrence were very nearly cast in True Blood, series creator Alan Ball revealed a decade after the show premiered. Would that have altered the fabric of spacetime enough to have changed everything? Best not to think about it. Which makes me wonder: In another universe, would Benedict Cumberbatch and Jessica Chastain be married?